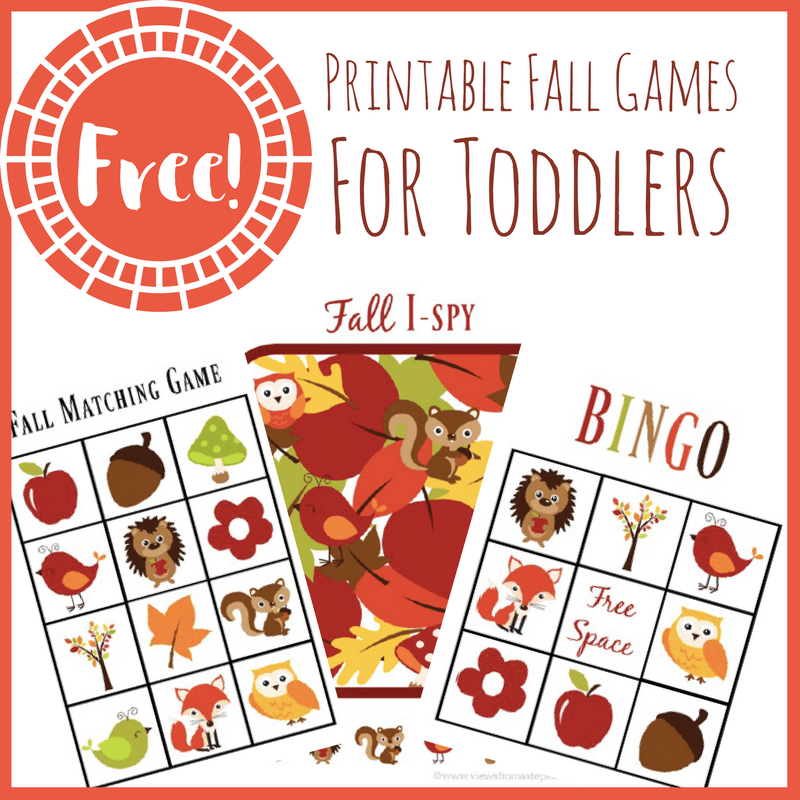 These printable fall games for toddlers will keep your little ones busy (and learning) all while having fun! Grow their vocabulary and enjoy some quality time together. 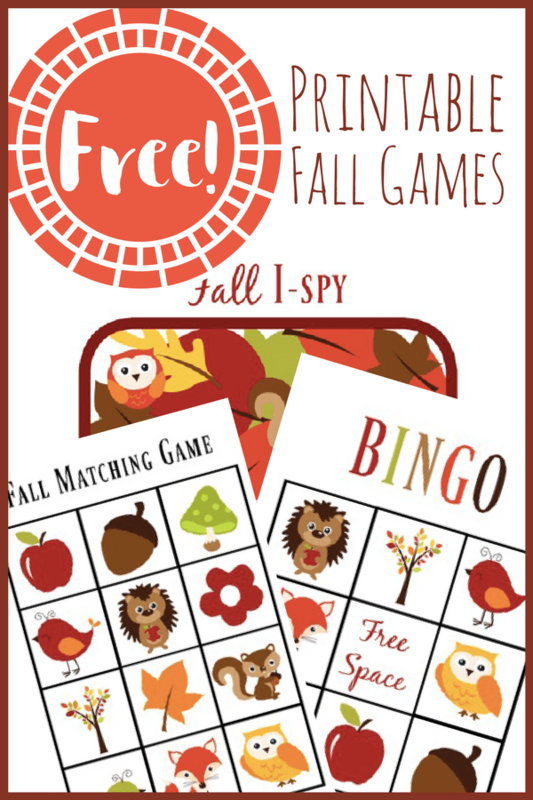 Included are a matching game, Fall Bingo, and Fall I-Spy! 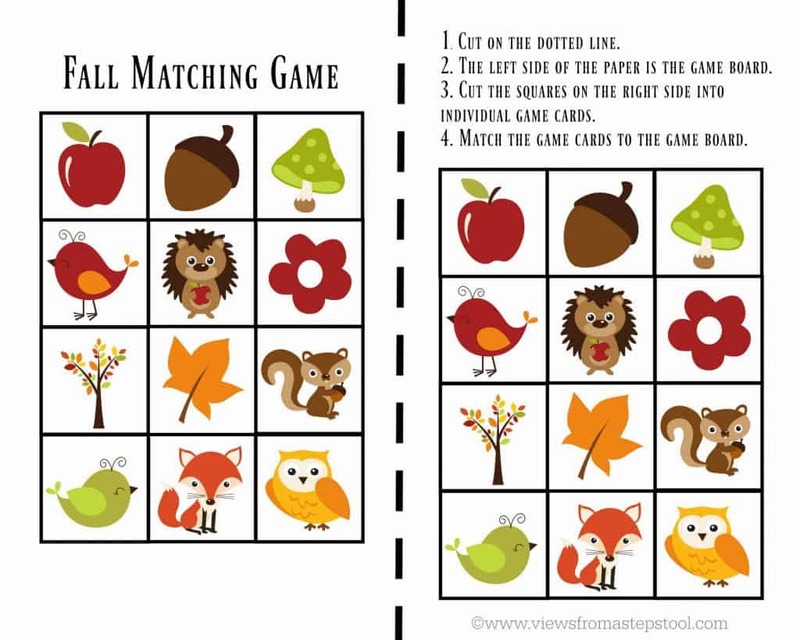 Here are 3 really fun and simple fall games for toddlers! To grab your bundle to print, enter your email below and they will be send directly to you. Subscribing means you will gain access to ALL of our printables (like this one) to keep your kiddos busy AND learning! Already have your password? Head on over to the Exclusive Content page and grab them now! Cut out the provided bingo game boards, and the corresponding photo cards. Place the photo cards face down in a pile. Have one person flip over a card and call out the name of the picture. This is a great way to introduce new words with your kids. 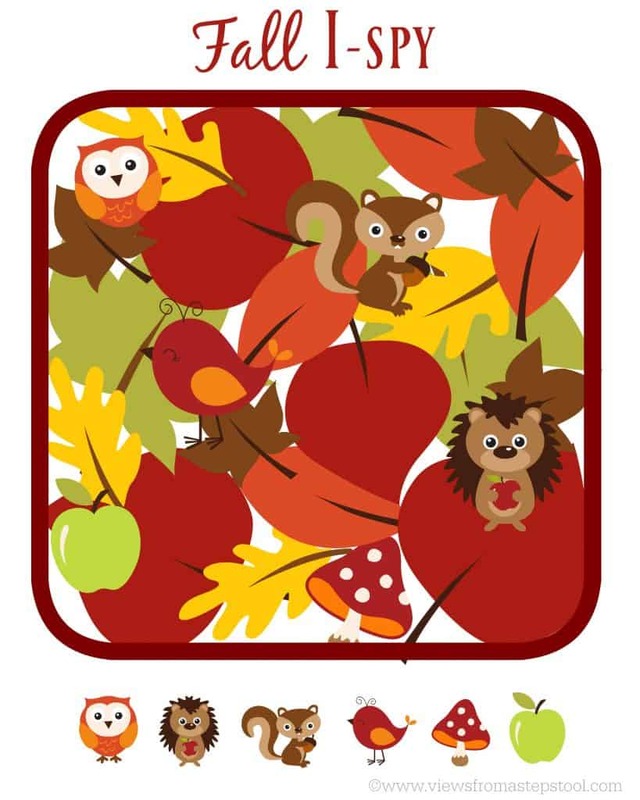 Be descriptive by saying “orange owl” or ” red apple”. Use pennies, dot markers, or even little toys to indicate a match on the game board. The first player to fill their game board is the winner! Tip: Laminate the cards and the boards for more longevity. You can use a dry erase marker (which kids LOVE) to mark the game board this way as well. Buying a small laminator for my house was hands-down now of the best purchases I ever made, here is the one I have (affiliate link). Cut the paper in half, the left side will be your game board and the right side the matching cards. Have your children put the cards on the game board in the corresponding spaces. Build vocabulary by asking them to find certain cards to match. Cut the game board squares and the games prices out, lay all pieces face down, and play a game of ‘Memory’. Show your child the images on the bottom of the game sheet. Identify the animal/object and use descriptive words to build vocabulary. Have your child circle or color the objects that are hidden. Use do-a-dot markers for a fun alternative. Laminate (look above for my recommendation!) the sheet, and throw it in your diaper bag with a dry erase marker for when you need to keep your kiddo busy!